Teachers are experts at connecting lessons to everyday life, and bringing their classrooms into the world. Engineering is about applying science to everyday life, connecting theories and practice. 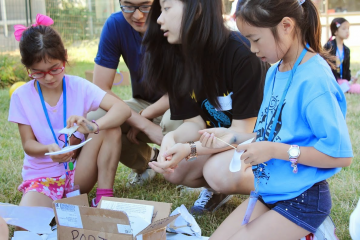 Join us to test out three engineering activities that you can use in your grade 4 – 7 classrooms to help create the connection between science and society. Emphasis will be given to activities that relate to the ADST curriculum, including computational thinking and digital skills activities. Leave with ideas, inspiration, and free supply kits. *Activities will be different than those from the October “Engineering for Your Classroom” workshop. Cost: Free! Coffee, lunch and a 30-student supply kit for each activity are included. *Note that supply kits will only be distributed at the end of the day, after evaluations. This event is co-hosted by Science Alive and Geering Up!